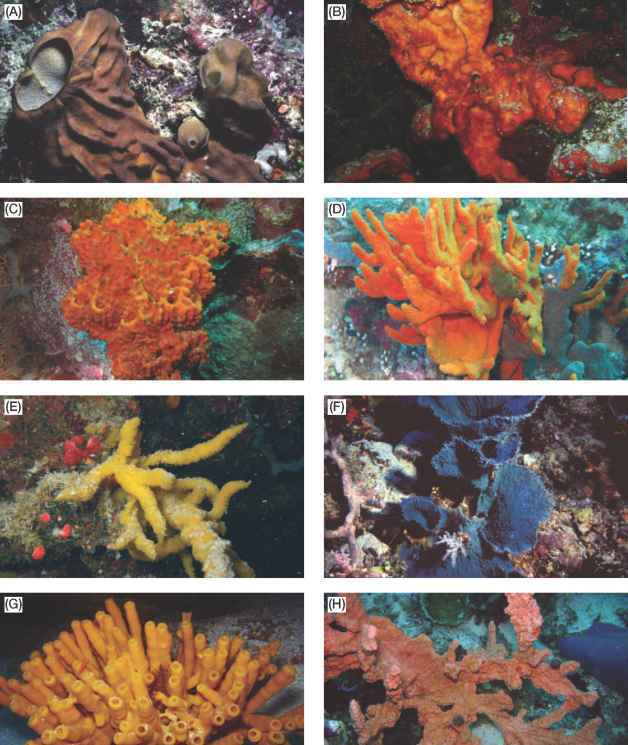 Figure 4.10. A diagrammatic formulation of the life history of hosts (horizontal) and parasitoids (vertical) with overlapping generations, useful for the continuous time model. 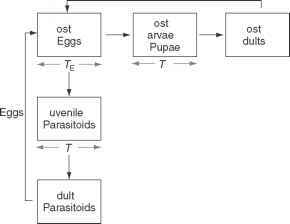 Here TE and TL are the development times of host eggs and larvae; the development time of the parasitoid from egg to adult consists of some time as an egg and development time Tj as a juvenile. involves differential, rather than difference, equations and delays to account for development in the different stages (Murdoch et al. 1987, MacDonald 1989, Briggs 1993). There have been literally volumes written about these approaches; in this section I give a flavor of how the models are formulated and analyzed. In Connections, I point towards more of the literature. and this completes the description of the host population dynamics. Equations (4.19)-(4.24) constitute the description of a host para-sitoid system with overlapping generations and potentially different developmental periods. They are called differential-difference equations, for the obvious reason that both derivatives and time differences are involved. What can we say about these kinds of equations in general? Three things. First, finding the steady states of these equations is easy. Second, the numerical solution of these equations is harder than the numerical solution of corresponding solutions without delays (although some software packages might do this automatically for you). Third, the analysis of the stability of these kinds of equations is much, much harder than the work we did in Chapter 2 or in this chapter until now. However, these are important tools so that we now consider a simple version of such an equation and in Connections, I point you towards literature with more details.